I’ve covered off both the American Express Gold Personal and Business cards in previous posts and today I am providing you with an overview of the granddaddy of the AMEX family, the Platinum card. The first thing people see when they look at the American Express Platinum card is the $699 annual fee. This fee is miles more expensive than any other card out there in Canada but you get a LOT of value out of this card. We’ll break down all the benefits and the value for each of these benefits to show you why this card should be in your wallet. A big part of the value of this card comes from the bonus points you get for sign up. The current offer provides you with 50,000 Membership Rewards points. That’s enough points to fly 2 people roundtrip anywhere in North America in economy! I value American Express Membership Rewards at about 2¢ per point due to their extreme flexibility so from a purely financial standpoint, these points are worth $1,200. If you even went with a very conservative valuation for the points at 1.5¢, you would still have $900 in value. So from the points alone, you come out ahead. 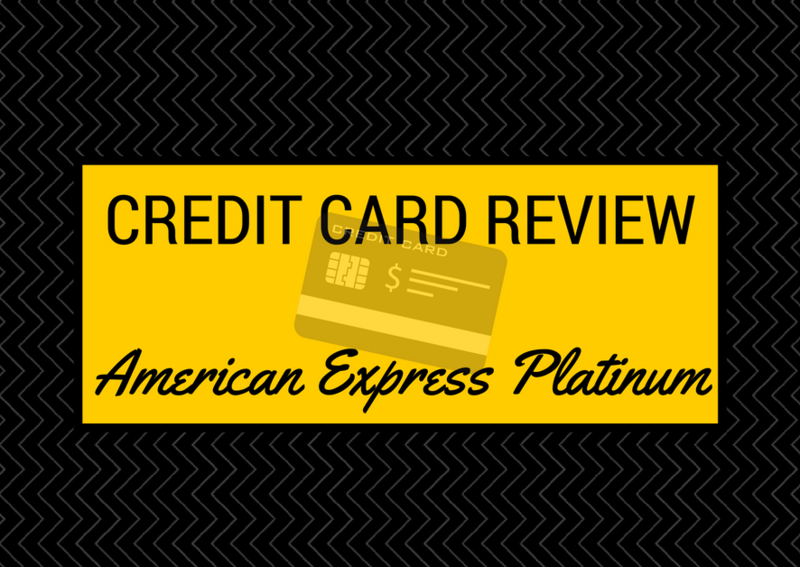 With the American Express Platinum card, you are provided with $200 in annual travel credits. When you use this card with American Express’ Platinum Travel services, you get reimbursed $200 annually. So for example, if you charge a flight through the American Express Travel portal and it costs you $300, you can apply the credit of $200 and only pay the $100 difference. You can use this for car rentals, flights, and hotels. Now if you want to turn this $200 credit into cash, simply book a hotel room that has a normal cancellation policy (free if canceled within 24 hours of stay) for some time in the distant future (3-6 months), apply the travel credit. A week later you might have a change in plans and need to cancel your hotel room…. well the $200 credit has already applied to your credit card but now you’re not on the hook for a hotel room reservation … if you have legitimate travel charges, use the credit for that. If you don’t, it would be a shame to have that credit expire. You receive this travel credit once per calendar year so if you got this card now, you would have a $200 credit in 2016 and another $200 credit in 2017. In fact, unless you applied on the first day of January, you would always get 2 travel credits before your annual fee charged again. This benefit is much more liberal than that of our American brethren. Their credit is only for airline tickets. For a step-by-step tutorial on how to apply the Travel Credit, check out my How To Redeem Your $200 AMEX Travel Credit Online post. With this benefit, you receive $400 in value. While you can still receive the 2 x $200 Annual Travel Credit, be sure to read PointsNerd’s update on the new best practice. If you’ve ever been in an airport lounge, you know it’s so much better than hanging out at the gate. In a lounge you have a quiet and peaceful surrounding (most times), access to free food and drink (alcoholic and non-alcoholic) and showers (in a lot of lounges). With the American Express Platinum card, you get automatic enrollment in the Prestige Priority Pass Program, which allows for access to many airport lounges around the world. The access is unlimited and free so there are no out of pocket expenses for you during your membership. The value of this pass is $399 USD (~$525 CAD). To me, this is one of the best benefits of the card but that’s because I really value having access to a lounge prior to my trip. It really is a great way to get into vacation mode early. With every dollar you spend on the American Express Platinum card, you get 1.25 points rather than the standard 1 point. While this may not seem like much, a 25% bonus on every dollar is a pretty good benefit. I won’t put a dollar value to this because it really depends on your spend but it is a benefit nonetheless. As I spoke about getting upgrades in my How To Get Hotel Upgrades If You Don’t Have Status post, and while there are ways to get upgraded at a hotel without status having status all but assures that you get that upgrade. Complimentary internet at Radisson hotels worldwide, and at all Carlson hotels in North America. So with this benefit, you could extract a lot of value if you stay at these particular hotels. Again, I won’t assign a value to this because it is going to be subjective and it largely depends on your upcoming travel and hotel of choice but again … it’s a very nice benefit. I won’t speak much to this benefit because I have found it to be limited in value, not because I don’t golf (I do), but because the courses that are a part of the membership are outside of Canada. Now I love to golf, but I haven’t taken a vacation just to golf but perhaps you might. Personally, I’m a detail oriented travel freak so everything is researched and planned out in minutiae so this really isn’t a benefit to me but if you like having someone recommend places to dine, sights to see and then make all the arrangements for you, you will really like the concierge service. Simply call in to the concierge and ask them to do something like “find me a romantic restaurant that has a good wine list and a view of the Bosphorus”. They’ll take care of it for you. Again, I won’t assign a value because it’s subjective. The only thing that seems to be missing here is Price Protection like the one found on the Capital One Aspire. Once again, I’m not assigning a value here because it’s subjective but as you can see, you could potentially save a lot of money by having these insurances. If you didn’t read through this whole article, I don’t blame you … there’s a lot there but simply based on the benefits, you can already see that this card offers a lot more value than any other Canadian card out there. Let’s look at the total value of the card without even considering the subjective benefits. As an Asian, I can tell you that $1,825 is greater than $699 so the card is a big, big win in my books. If you can see the immense value of this card and want to sign up, I would highly suggest you use my referral link. While I extract a small benefit from you using the link you actually come out way further ahead. The public offering for this card is 50,000 Membership Rewards after you meet the minimum spend on the card ($1,000 $3,000 in the first 3 months – updated March 23rd) but if you use my link, you will get 60,000 Membership Rewards points. I very much appreciate your support and hope that this blog provides you with the tools required to help you realize your travel goals. If it doesn’t, feel free to reach out to me through my Contact form. Here’s a better referral link. It’s 60,000 MRs vs the 50,000 MRs in the previous link. Just click on View Our Other Cards link and choose the Platinum Card. Nevermind! Just re-read your instructions and see re: Platinum. Apologies and thanks for the new link! I used your referral links for both the personal and Business Platinum cards, this was back in July 2017. Just last week Amex deducted all the bonus points from both referrals from my Membership Rewards account. Any idea why? That’s a big hit on the point balance. Thanks Jayce — this link keeps taking me back to the regular Amex Platinum page, not a referral page — I’ve tried it in three different browsers? Could you comment on the difference between the personal and business Platinum cards? I am trying out the various cards and will eventually/probably hold onto one or two vs the others (like a Platinum and SPG for daily use to earn travel points). Perhaps this is a poor strategy and you recommend another? The biggest difference between the Personal and Business Platinum card (outside the sign-up bonuses) is that the Personal Platinum gives you access to the Priority Pass Lounge for free. 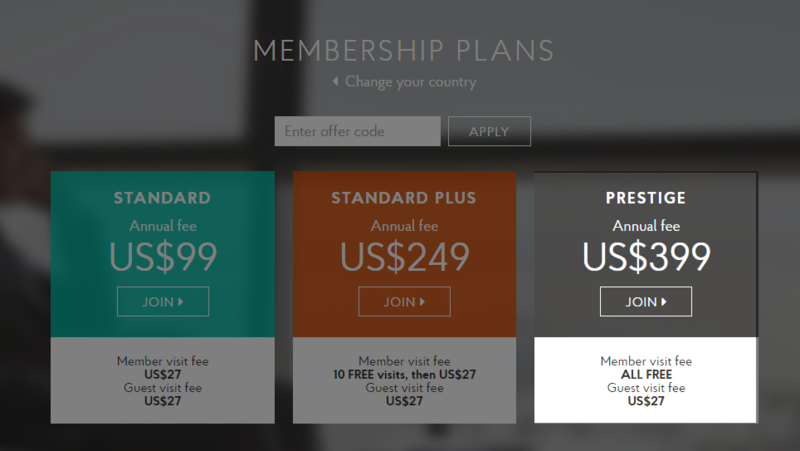 The Biz gives you access to the Priority Pass Membership but you pay $27 USD per visit, which doesn’t seem like a great deal for me. The Personal card also gives you access to the $200 Annual Travel Credit, which you can use twice in the first year of your membership (in 2017 and in 2018 – remember it’s annual). Essentially the Personal Card ($699) is better as the first card to get because you get more travel benefits and if you take into consideration the 2 x $200 Annual Travel Credit, you’re out of pocket only $299. The Biz card is $399 a year with no travel credits and limited Priority Pass membership. Both cards are good but if you don’t have either, go with the Personal card first. One other item to note is the minimum spend requirement in the first 90 days is $3,000 for the Personal and $5,000 for the Biz. If you use my referral link (http://www.pointsnerd.ca/amexreferral), you would get 60,000 Membership Rewards points on $3,000 spend vs the public offer of 50,000. Is there a downside or consequence to cancelling and re-applying every year? Such as the impact of credit inquiries, the hassle of changing card numbers for online services, etc? You will take a bit of a credit hit when you cancel your cards but overall, the ability to earn additional points/miles is worth the tradeoff in my opinion. Credit card sign up bonuses are hands down the quickest way to accumulate points so to me, it’s definitely worth it, even if you have to update your payment details. Hope that helps. I applied for and am working through a few CC’s that I have gained welcome bonuses for. For example, AMEX Bus Plat, Personal Plat, SPG personal, SPG bus, Gold Personal, the only one left is Gold Business, Alaska MC, WestJet MC. Now I will likely start using one of these for regular use, like the Personal Platinum, to collect points, however I would like to seek your opinion on what the best suite of CC’s to have in my wallet. I have a US RBC VISA Signature that I previously used for US travel and I used the Marriott VISA for Europe, but was wondering what you think is the best approach to travelling? What card would be best for travel benefits, insurance packages, etc.?? Or would you use the Canadian CC’s to book travel from here and use the others while out of country? Thanks for your question. Now let’e me try to unpack some of it because it’s a bit complicated. The answer is going to be the proverbial “it depends” answer. If I’m looking at it from my perspective, I am typically booking my travel (usually award travel) with a card that has the best coverage possible for things like travel delay, lost bags, etc. Now in the fine print of most insurance policies, it usually states that the full cost of travel must be paid for by the card so usually award tickets don’t provide coverage though in practice, I don’t know whether or not they would deny the claim. What you typically find is that the AMEX cards tend to have very good coverage for travel as do the travel branded credit cards like the TD Aeroplan. Hotel cards typically have pretty poor coverage, including the Chase Marriott card. For foreign dollar transactions, I typically use cash when I’m on vacation … not sure why … I think it’s a budgeting thing but you can always use your no FX cards like the Chase Marriott or Chase Amazon (both are currently not being offered any longer … booooo). I have both cards so if I ever need to make a foreign purchase those are my go to cards. if you have a US dollar card and don’t have any problems having US funds in a US bank to make the payments, you can go that method as well. I’m not sure if I’ve properly answered your question or not but if I haven’t, please feel free to point me in the right direction. However now that I have the AMEX cards, I was thinking despite the FX charge, that they might be better options. For example, I am traveling to Hawaii, and was wondering if perhaps my SPG Amex or Platinum might be better to use for points, etc. OR perhaps the Gold is better if I make a traveling purchase such as a tour or activity? That’s sort of the path I was going down. As well, I am discerning from your other posts, you would use the AMEX Gold for domestic spend for bonus categories and a MC for other purchases. In conclusion, there are so may choices it is mind boggling to keep it straight. Just trying to get the right path forward for me. I did the calculation based on my spending with AMEX Gold vs. Platinum on the points calculation. I don’t own a car (but rent one two -three times a month) so I don’t spend a lot of money on gas and I buy my groceries at Loblaws or in Kensington Market. I buy a fair amount of airline and train tickets. I calculated that I came out slightly ahead with my spending patterns with 1.25 pts on all dollars compared to only double points on specific expenses. This is also because I make almost all monthly purchases I can on my Amex. You can download a year end report from Amex that makes calculating your points under different scenarios reasonably easy. good luck. You make some great points and probably have conveyed it better than I have in my posts. What everyone needs to keep in mind is that your own personal situation is going to be different from others so it makes sense to do a monthly budget of what you spend on and how you spend it so that you can match up your cards to the right usage. Great advice Ian! so $200 credit kicks in again after annual fees charged?.. for example, if I sign up now . I’ll get $200 in 2018 and $200 again in Jan. 2019. but not sure if i get $200 again after annual fees is charged..
You only get the $200 on card activation and again on January 1st of the following year. There is no additional $200 credit when the annual fee is charged. im curious….i spent $3k and i got the 60k points…now im wondering if i transfer these points to aeroplan immediately…then refund what i bought (which will bring me under the 3k), how will they even rescind the points??? Davey, this might be a loophole but I have not had personal experience with it. I would also consider your longterm relationship with AMEX as this certainly goes against the terms and conditions. I would personally not try this but it’s more a personal call. Your referral link goes to the business platinum card btw. Great blog. Two things. First, as mentioned above, your referral link is going to the business card, not the personal. The “each year based on Card membership anniversary date” makes it sound like you don’t get one on January 1, but rather only on the anniversary of your card. Is this a change? That $200 extra fee would make quite a difference I feel. This is a new development but the terms and conditions around the annual travel credit has changed to state that you are only eligible for one (1) travel credit per card year. It’s an unfortunate turn of events but we’ve been reaping the benefits of the annual travel credit for some time now and it seems that it’s finally come to an end.